Maggie’s Card party is our annual Bridge, Bunco & Mahjong card party. 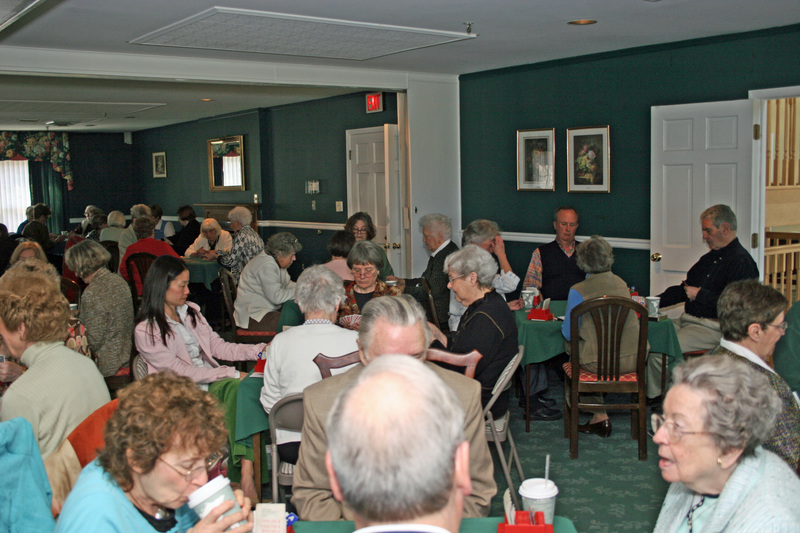 This is held at Cress Creek Country Club, located off of Shepherd Grade Road in Shepherdstown. The fundraiser will begin with coffee & pastry then lunch is served at noon. Games continue in the afternoon. Reserve your tickets today, by calling (304)876-3325 or stop by the office at 7311 Martinsburg Pike, Shepherdstown. Good Shepherd Interfaith Volunteer Caregivers (GSIVC) operates its program and services without regard to race, color, or national origin in accordance with Title VI of the 1964 Civil Rights Act. Any person who believes that she or he has been aggrieved by any unlawful discriminatory practice under Title VI may file a complaint with our agency. Any such complaint must be in writing and filed with this agency within 180 days following the date of the alleged discriminatory occurrence. For information on our nondiscrimination obligations or how to file a complaint, please contact GSIVC by any of the methods listed below.